Nicole McLaren Campbell boasts a fiercely flourishing career as an entrepreneur, educator, and professional speaker and author. At the tender age of fourteen she was featured on the Nickelodeon Channel in a documentary Nickellenium and chosen by Teen People Magazine as one of “twenty teenagers who would change the world,” following her participation in MIT’s Junior Summit in 1998. Nicole is a graduate of the St Andrew High School for Girls, Phillips Academy ‘Andover’, Princeton University and the University of London’s School of Advanced Study and School of African and Oriental Studies. Her remarkable leadership skills and academic excellence at the tertiary and college levels led to jobs in Jamaica’s public sector at the then Ministry of Industry, Technology, Energy and Commerce and the Ministry of Education where she served as Senior Policy Analyst to the then Minister of Education, now Prime Minister Andrew Holness. In 2010 she founded AIM Educational Services, which immediately and completely revolutionized the preparation of students for college, both locally and overseas. AIM has gone from just two students at its inception to successfully guiding scores of students to full scholarships and/or academic placement in the most prestigious universities in the world, including Oxford and Cambridge Universities in the United Kingdom and all 8 Ivy League institutions in the United States. 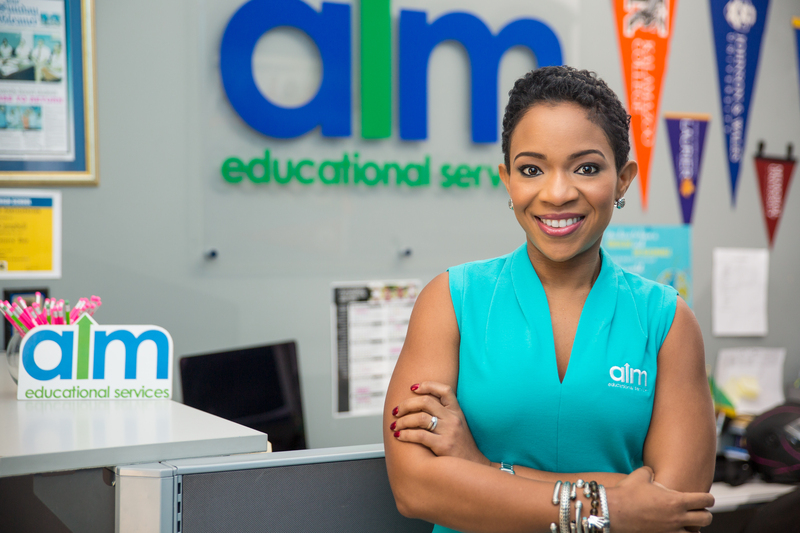 AIM delivers an average return on investment of over 5000% to parents – results Nicole attributes to a strong, motivated team whose focus remains on possibilities, not problems. Nicole is also the founder of the AIM Higher Foundation with a mandate to identify, develop and empower promising low-income students so that they too can access unlock their potential through access to tertiary education. Her vision is to inspire youth globally to AIM Higher. Further to that end, she serves on the Boards of the Early Childhood Commission, the HEART Trust/NTA, the Jamaica Tertiary Education Committee and the CHASE Fund in Jamaica. In 2017 Nicole published her first book Make It Count: Tips on Unlocking Your Vision in 2017 and Beyond, which has now been revised to Make It Count: Tips on Unlocking Your Vision. The book has already enjoyed widespread acclaim and commercial success both online and in bookstores, with hard copies being sold out across Jamaica within days of publishing, and clamors for reprints in Jamaica as well as demand for similar launches in overseas markets. In 2017, McLaren Campbell was selected to speak at the Paris Headquarters of UNESCO as part of the Give1 Foundation Emerging Global Leaders Conference. She was presented with their Women In Leadership Award, addressing an international gathering of academic luminaries regarding advances in girls’ education in Jamaica and the Caribbean. She is regarded as one of the most influential voices on empowerment, education, parenting and entrepreneurship. Nicole’s work was recently recognized by the highest office in Jamaica, that of the Governor General, when she was named a 2018 recipient of the Governor General’s Award for Excellence in Achievement and Leadership. She is wife to reggae artiste Assassin aka Agent Sasco (Jeffrey Campbell), mom to 6-year old LC, 5-year-old Joshua and ‘bonus-mom’ to 11-year-old Ally. She loves taking videos of her kids and posting them to her favourite social media platform: Instagram. A self-professed inspirational quote junkie, her personal motto is “AIM High and Be Bold” and her mission is to squeeze every ounce of life, from life. 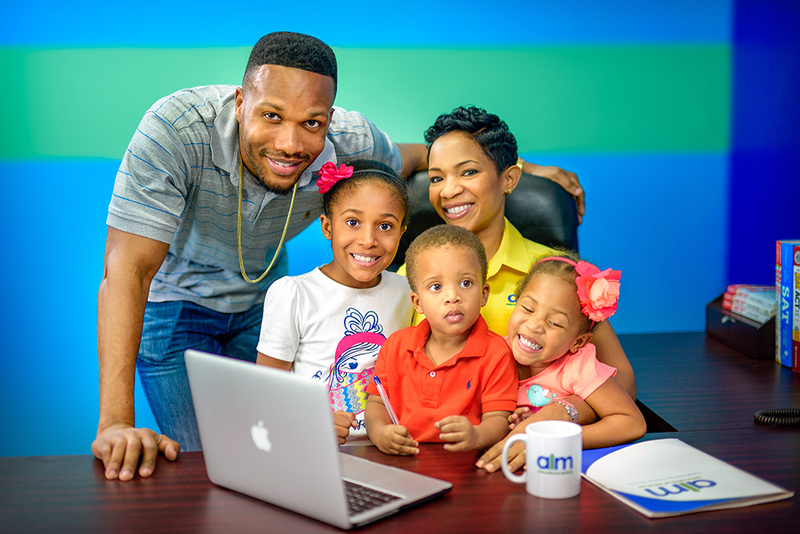 Founder, Nicole Mclaren-Campbell and family. She is wife to reggae artiste Agent Sasco a.k.a Assassin (Jeffrey Campbell), mom to 5 year old LC, 4 year old Joshua and ‘bonus-mom’ to 11 year old Ally – and in her spare time she loves taking videos of her kids and posting them to her favourite social media platform: Instagram. She is a self-professed inspirational quote junkie whose personal motto is “AIM High and Be Bold” and her mission is to squeeze every ounce of life, from life. Hey Buddy!, I found this information for you: "Nicole’s Story". Here is the website link: https://www.aimeduservices.com/about-aim-educational-services/nicoles-story. Thank you.